Ambassador of the People’s Republic of China to Jamaica, His Excellency Niu Qingbao (fourth left, front row); Acting Director of the Scholarship and Assistance Unit of the Finance Ministry, Kelli-Ann Garrick (third left, front row); and President of the Jamaica-China Friendship Association Limited, Irena Cousins (second left, front row), with some of the recipients of scholarships to study in China. The occasion was the handover of Letters of Admission to universities in China, at the Chinese Embassy in Kingston on July 22. The Chinese Government, in collaboration with the Ministry of Finance and the Public Service, has awarded 10 Jamaican students full scholarships to study in China. Acting Director of the Scholarship and Assistance Unit of the Ministry, Kelli-Ann Garrick, said the scholarship programme forms an important part of the terms of agreement under the Jamaica-China cooperation. The Jamaica-China Friendship Association Limited is providing partial funding for one of the scholarships. Official letters of admission to several Chinese Universities were handed over to the students at a handover ceremony on July 22, at the Chinese Embassy, in Kingston. The students will commence studies in September in undergraduate and postgraduate programmes, including Business Administration, Clinical Medicine, International Politics, Animation, Architecture and Bioengineering. Ambassador of the People’s Republic of China to Jamaica, His Excellency Niu Qingbao told JIS News that the scholarship programme would be mutually beneficial to both countries and assist in strengthening the relationship between Jamaica and China. “This year we received approximately 100 applications and from that (number), 12 applicants were shortlisted with a view to selecting six. However, the Chinese Government graciously offered us 10 spaces,” she said. 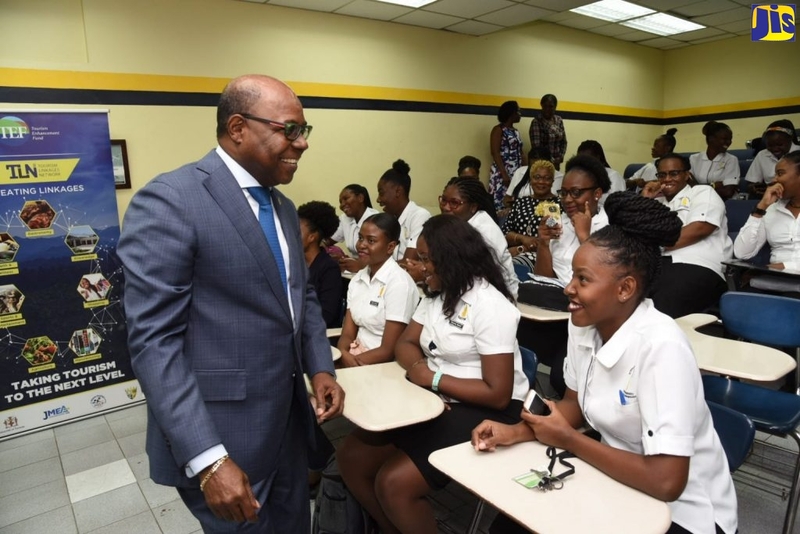 Participants will receive airfare, meals, tuition and a monthly stipend from the Government of Jamaica of US$350, which will go towards living and travelling expenses. The undergraduate programme includes a language component which will see participants studying Mandarin for one year. The postgraduate programmes are being taught in English.